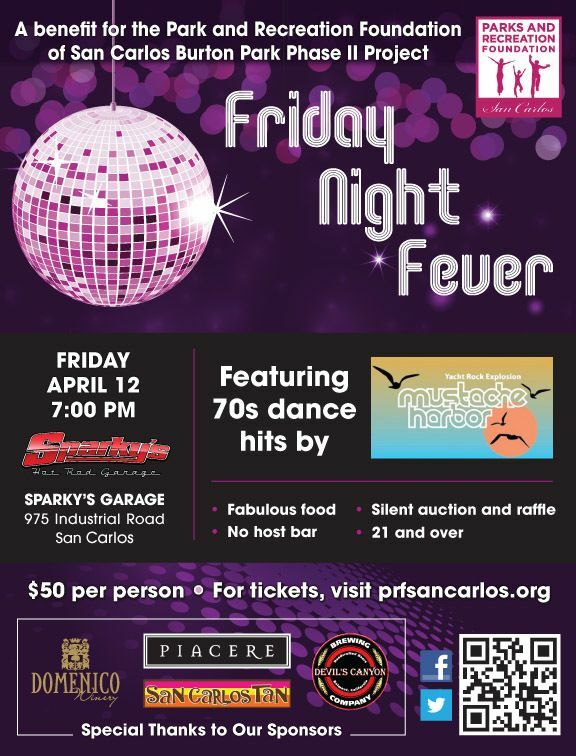 Consider spending Friday evening at Sparky’s Garage in San Carlos for a 70’s dance party! All proceeds go to benefit the San Carlos Park and Recreation Foundation. Fabulous Food and a no host bar. 21 years and over, only.